It was the early 1970’s, and a particularly harsh winter in Detroit. The economy was not doing well and many people had trouble just putting food on the table. Because of this, pets were just let loose to fend for themselves. 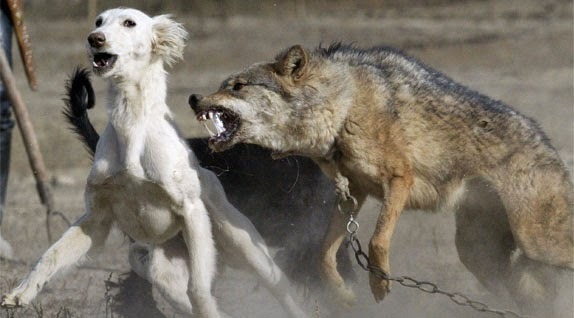 Consequently, it was not uncommon to see packs of dogs roaming around, and all seemed to be in bad attitude as they were always fighting with each other, with the snarling growls heard at quite a distance away. They were always trying to find food , and God help you if you got near what they wanted,---the food was what they wanted--and YOU became it. As the Henry Ford Hospital building was separated by a very large multistory open–air garage, the cold wind seemed to pass right through her heavy clothing as Leticia pressed against the wind, trying to get past the gusts making it hard to breathe. Finally after fighting step by step, she got to the closed-in security office and she bolted through its door. It took a few minutes for her to catch her breath and collect her thoughts. As the familiar guard greeted her with a smiling face asking, “Cold enough for you tonight?” Leticia just flopped into the chair, smiled, and tried to still her chattering teeth and stuttering voice. It was there in the corner of the room with a small radiant heater that she saw him,---a huge mass of black fur lying huddled next to the orange-red grating. The mass did not move or utter a sound. “Oh no--you can’t do that--you just can’t--he’s so beautiful,” Letty said. 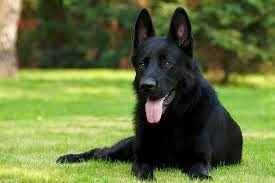 “But he has no tag and the dog catchers will get him anyway---I don’t know how to reach his owner,” the guard replied. “But they’re going to kill him for experimentation,” Letty cried. “I’m sorry, but I don’t know what else to do. His owner probably let him loose without the tag because he couldn’t feed the dog anyway,” he answered. “But you can’t, you just can’t,” Leticia pleaded. “But what else can I do,” the guard asked? The guard then placed the dog onto the front seat of Leticia’s car and with heater on full, and turned on some soft music. As calm as the dog was, she was still afraid of him so as she got into the car and drove away, she kept constantly petting his head as he rested on her lap. For the entire one-hour trip home, the dog never moved. This was the beginning of one of the most beautiful and trusting relationships ever! The dog tried weakly to lift his head when the smell of the food was cooking, but couldn’t. Leticia then said to Ron, “I’m going to have to force feed him, but I’m afraid---my God, his teeth are almost one inch long.” She then sat on the floor, put the dog’s head on her lap, and while gently stroking his head, took some of the spaghetti meat sauce in her hand, gently putting the meat sauce with her fingers into his mouth between the massive jaws! At first it took some coaxing, then his large tongue began to slowly lap up the meat sauce on Letty’s fingers, a little each time. Remarkably, no matter how much he ate or how fast, never at any time did Leticia feel the huge teeth touch her hand or fingers. As she kept feeding him, his amber eyes kept searching for her eyes as he was constantly sniffing her hands and arms. He was now raising his head better, but would not try to stand. Leticia placed a small bowl of water to the dog’s face which he lapped up completely three times. Although Ron helped to feed the dog, it was Leticia that the dog bonded to. Forevermore, that dog would always be hers and none other--and she named him BLACKIE. 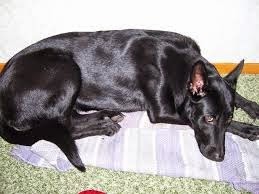 The dog that Leticia had saved from certain starvation and death from Surgical Lab Experimentation never had its owner call for him, and secretly, Leticia kept hoping that nobody would ever claim her Blackie. 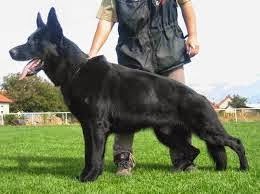 As days progressed, Blackie rapidly gained weight and began to show the powerful two year old pure bred German Shepherd he was--but it was only later that Blackie revealed himself to be a ONE IN A MILLION DOG!! 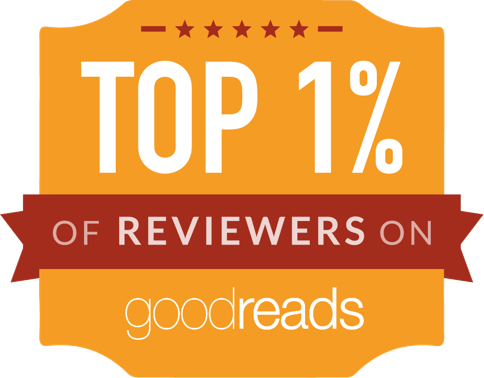 As Leticia’s mind drifted back in time, she thought about ASO. ASO was the only other dog that also bonded so firmly to her. It was a different time and a different era, full of the terrible things that happened during the Japanese Occupation. Because of that, people needed protection especially the women and children and so, almost all the families kept vicious dogs. ASO was one of those dogs. ASO was trained to be a killer.Leticia’s mind continued to drift, reminiscing through time about this “killer”. It was true ASO would kill anything that invaded Leticia’s space, but she was always in control of ASO. However, the bonding of dog and Letty was extremely strong and territorial, and ASO never became friendly with anyone other than Leticia. Letty was able to warm ASO’s heart to her, but she could not take the killer out of ASO. In those difficult days under the yoke of the Japanese, this is what had to be. And so, ASO became the perfect “one person dog,” playing with him and able to do anything with her she wanted, but a ferocious killer to anyone else. As time and memories faded, it was not until that cold snowy night that Leticia realized how similar ASO was, but yet, how different Blackie was yet becoming. But one thing was certain, only Leticia had bonded so strongly and completely to two such incredible dogs. As Leticia’s mind began to refocus to present day, time began to reveal the true character of Blackie. 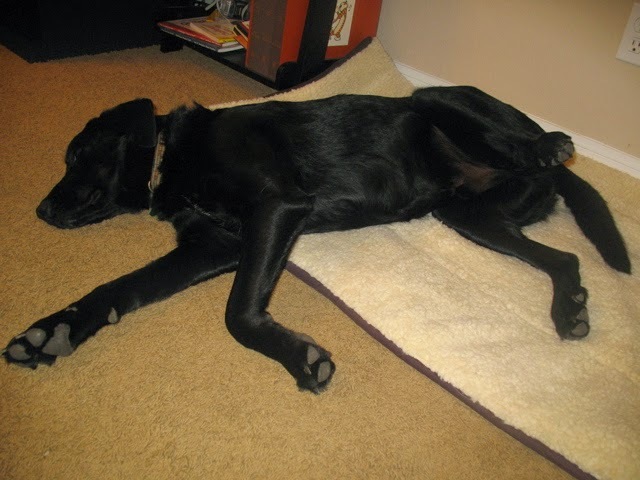 Someone had trained Blackie exceptionally well! *Ron had found it impossible to make the dog go upstairs! As soon as Ron began to ascend the stairs, the leash would go tight in Ron’s arm with Blackie freezing at the very first step. Someone had taught the dog never to go upstairs! Ron had to literally carry Blackie up to the second floor every time. 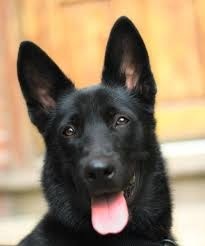 *Leticia also found that Blackie would instantly stop short refusing to enter Letty’s bedroom, yet whenever Ron and Letty left Blackie alone, Leticia would find something of Letty’s like a shoe or purse openly displayed in the center of the living room with Blackie playfully hiding behind the couch looking “sheepish,” to purposely let them know that he had been there. *If Blackie did something to displease Leticia, she simply rolled up a newspaper; clapped her other hand with the paper in a loud snap, and Blackie would put his ears down and back and simply hide behind the couch. He would not leave that spot until Leticia would call him to her side. *Also, Blackie’s restraint was incredible. During all the time that he was with Leticia, the dog never barked, although he was quite able when an ambulance siren once hurt his ears. *When he had to “do his business” so to speak, he still would not bark. He would simply stand by the outside door, and would keep looking at Leticia who would then let him outside. As time passed, Blackie continued to amaze. Living in the Detroit area during our medical training was dangerous, so much so, that it was necessary for safety sake to live and commute daily for one hour to Woodhaven, a suburb of Detroit. However even in Woodhaven, Theft, break-ins, and beatings were not uncommon. “It’s not enough. You need serious protection, so I’ve bought you a new 12 Gauge Pump Shotgun and I’m going to teach you how to use it,” Ron demanded. About a week later at night, Letty and Blackie awoke with the sound of the apartment door being forced against the protective chain locks. Blackie began to growl. Leticia got her shotgun and within a few feet of the door, loudly slammed home the slide mechanism of the gun chambering a shell and producing the unmistakable sound of bad news about to come to someone really quickly. Suddenly, all sound stopped except for the running of feet out of the hallway. When Leticia told Ron what had happened, he was greatly relieved that his decision to buy the shotgun had undoubtedly been correct, but the episode was not over. Several months later, when Ron was in Detroit and on call at Henry Ford Hospital, with Leticia all alone with Blackie, the same thing recurred, only this time a big hand was already inside the door up to the wrist held back only by the two chain locks. Blackie then made a fearsome growl as he dove at the door and the exposed hand, grabbing and holding fast the hand which disappeared into huge terrible jaws! Loud shrieks and screaming permeated the night hour, but Blackie wouldn’t let go. Leticia, who now held the shotgun just watched this magnificent example of protection one to the other. 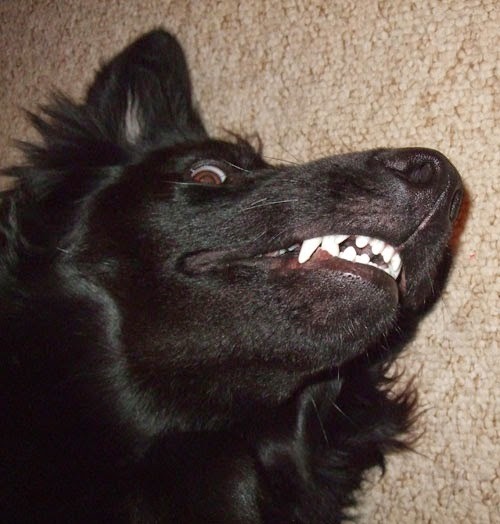 Blood profusely poured from the jaws of Blackie’s face with Blackie furiously shaking his head side to side. Leticia could now see flashes of yellow-white in the bloody hand which she recognized as tendons and bone.Leticia screamed, “If I see a knife or gun, you die with my shotgun right in your face as fast as I can keep pulling the trigger,” the loud slide mechanism reinforcing her words!! Blackie still would not let go, but eventually what was left of the intruder’s hand pulled free, leaving blood all over the door and molding, with fingernails and flesh stuck to the wood. 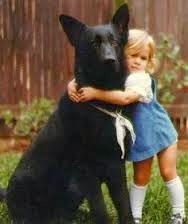 Leticia kept saying to Blackie, “Good dog, good dog,” while she hugged him getting his bloody fur all over her. Some of the apartment occupants thought the site was horrific, while others thought it was beautiful and richly deserved, but all were very grateful that Blackie lived there. Both Letty and Blackie were a bloody mess with Leticia laughing now as a tremendous tenseness was now released. How beautiful Blackie was blood red face and all! Both got into the bathtub with Leticia gently washing Blackie’s bloody face away. This was the last time anyone ever tried to break into Leticia’s apartment again. 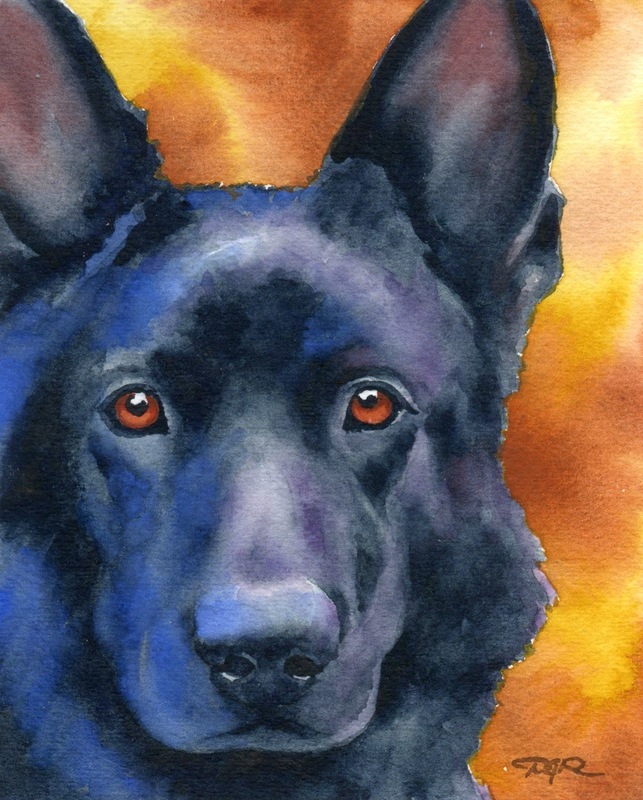 Leticia realized that as ferocious as ASO was during wartime, ---Blackie was equal to his task of protecting her. Leticia loved Blackie now as if he were human, and Blackie never failed to return that love and trust. The following three years were awesome! Hard work, learning, and of course Blackie who went with them everywhere. But Orthopedic Residency was now ending and Ron was awarded a Fellow in Hand Surgery under Dr. Harold Kleinert, one of the best Hand Surgeons in the world--the opportunity was immense! 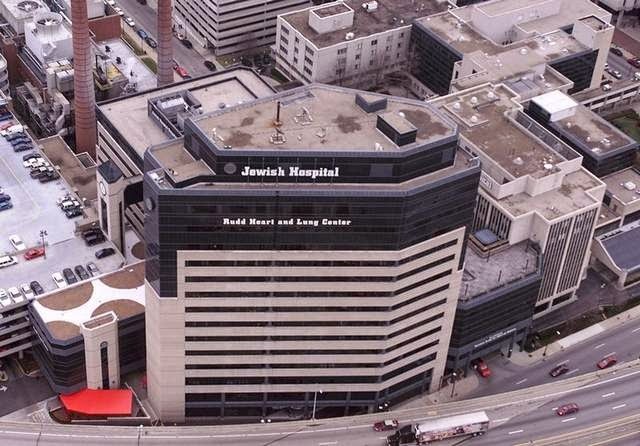 Leticia was very excited as she knew she would now be leaving Detroit and going to Louisville, KY., where she was also secured and posted with Ron at Dr. Kleinert’s base facility at Jewish Hospital, part of the University of Louisville Complex. They continued to frantically search including kennels, but this option didn’t seem to fit, as Blackie was almost human, and a kennel was like putting him in prison. Except for the two who loved him most, sadly, nobody wanted Blackie. 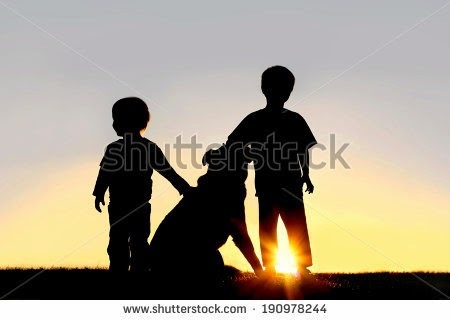 “I’m not giving Blackie away,” Letty cried, “I love Blackie,” Letty again emphasized, “Help me Ron!” Ron then thought long and hard and then said, “Our friends from Woodhaven, the Smiths, have small children and always have liked Blackie, so maybe they might agree to leave Blackie with them. Leticia and Ron then prayed, hoping for this great favor. Leticia reminisced saying, “Do you remember when Blackie used to carry the newspapers with the kids, carrying each rolled up newspaper in his mouth from Albie’s bike to each house doorstep for delivery? Boy, THAT was personal service! Ron and Letty asked, and the Smiths happily agreed. A very large burden on Leticia’s mind was over. room, Blackie moved next to Letty and placed his head on Leticia’s lap as he had done so many times before. His amber eyes kept looking into Letty’s crying eyes and appeared softened and sad. They just kept looking at each other with Letty gently stroking Blackie’s head. It was then that Blackie began to softly wimper. Ron could not stand it any longer as he turned away, left the room, tears filling his eyes. When it was time to leave, the children began to pet Blackie, but when Leticia stood up to leave, Blackie began to walk beside her as he had done so many times before. It was as if he had become a permanent part of her side. Leticia then said, “Blackie stay.” The dog would not, almost sensing that Leticia was saying goodbye although he didn’t understand what goodbye meant. As the children held Blackie, Leticia slowly began to back away, still looking into Blackie’s eyes. 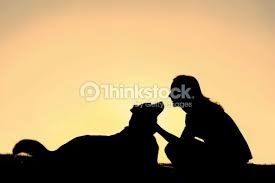 Leticia did not know then that this was the last time that she would ever see her beloved Blackie again. The ride from Detroit to Louisville was very quiet, with little being said between Leticia and Ron. However, once there, the frenetic pace of Hand Surgery under Dr. Kleinert in Louisville brought about a total immersion into the incredible workload, many times working on two patients simultaneously in the same operating room with Dr. Kleinert directing. For Ron and Leticia, there never has been, nor ever will be again, so intensive an education. One day about two months later, Letty and Ron were discussing where they were going to live and settle down in practice. It was a short discussion and they quickly decided on Orlando, FL. Surprisingly at this same time, there had been a new ownership and management of the apartment Letty and Ron were living in. Leticia was overjoyed and extremely excited!!! She almost screamed out, “They’re going to allow pets now--pets are OK now!” I want to get Blackie right away,” she said, as she almost could not keep her breath. “Look, we have a nice corner near the heater where he can keep warm like he used to,” Letty said. A whole big part of Leticia’s heart had instantly opened up again. I’m going to call the Smiths right away,” Letty gleefully told Ron. As the Smiths answered the phone, Leticia was bubbling, happily saying to her friends that it was now OK for her to get her Blackie and that she couldn’t wait to get him home. The Smiths were very quiet and initially said not a word. After a long silent pause, Joyce Smith finally spoke in a soft voice and instantly began to cry. "Leticia, I have some very bad news for you,” her friend said. Both women s were silent for several long, agonizing seconds. Leticia then said, “Joyce, is somebody sick?” Reluctantly, Joyce said in a very subdued, somber voice, “Leticia, it hurts me to tell you, but Blackie is dead.” Joyce began to sob loudly, and for a few seconds, Leticia was dumbfounded and could not speak. “What are you talking about, he was just fine the last time we spoke,” Letty asked in disbelief with a sickening feeling coming over her? Both women continued to cry for a period of time before speaking. “Why would anyone do this,” Letty asked? “The people from the ASPCA took care of him, I don’t know where he was placed,” Joyce replied. Blackie was now gone forever. She could never hold or hug him again. She felt like he was a person, not just a dog. He had so many “human” qualities that she felt at times, Blackie almost was human. Leticia continued to mourn for a long, long time for her cherished friend. What hurt her more than anything else was the crushing thought that she could have saved Blackie if she had acted sooner. He didn’t have to die! 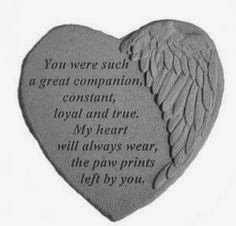 From this day and forevermore, a large part of Leticia’s heart will always be open for this courageous, loving, and trusting furry creature, that was almost more human than not, sealed and kept in a very, very special place for her precious memory of her BLACKIE. Leticia is a registered nurse who was trained at Hahnemann, Philadelphia, Pennsylvania, and Martland Medical Center, Newark, New Jersey. Her current residence is Missouri. She has been married for 44 years.